Zrinyi Hostel it s located exactly in the heart of Budapest ,when you get out from the building left side you ll see the St. Stephan Basilica and to the right the Chain Bridge. 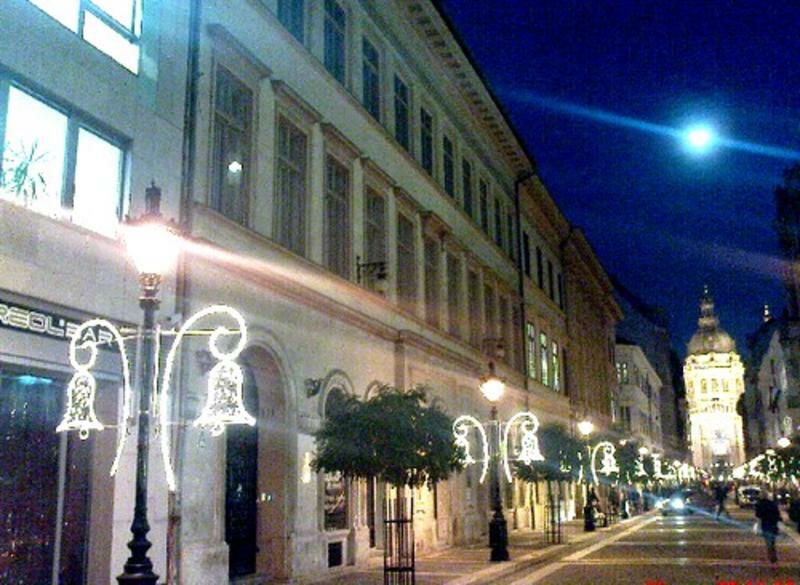 Only 2 blocks from the Vaci utca pedestrian shopping street and 100 meters from the Danube riverbank. Surroundings the hostel restaurants, pubs, disco club wait for you, where you may feel good between the many historical sight and building.From 15th of June 2010 in the same building on the ground floor we will have a garden party club open Wednesday,Thursday,Friday and Saturday from 22 .00 till 5.00 in the morning. Of course the hostel guests will have free entrance to the club. We have from single room to the 8 beds dormitory. You can choose from simply but nicely furnished rooms with various bed configurations. Wireless internet is available in the entire hostel and is free of charge and wired internet is available in the lobby free of charge as well. The hostel offers a common kitchen and a laundry. We wait for you if you would like a cheap clean room in the downtown between the big expensive hotels. Discover the city from here with free map, free Budapest guide book in 8 language and our help. -from the main train station: (Keleti train station )it s 3 stops by metro 2(red) to Deli Pu. direction till Deak Ter. -from the airport: you get the bus nr. 200 till Kobanya Kispest and after with the metro 3 (blue) to Ujpest direction (11 stops) till Deak Ter. -from the international bus station (Nepliget) it s six stops by metro 3 (blue) till Deak Ter. When you get to the Deak Ter, come out on one from many exits and find St Istvn the cupola of a Basilica. Go to the Basilica and Zrinyi utca is opposite the main entrance. Go a straight on Zrinyi street to Danube river direction and before the last building ont he left side you find the hostelt. (Bell No:10) Go straight on till end of the corridor beside the stair and with elevator to the third floor.